Deeks: It's no big deal, It's just the things we used to do together, the running, the hiking and the surfing, we're not doing them together anymore. Sam: It just takes some time. She was laid up. She'll get those muscles firing. Deeks: It's not that. She can still do it, not the surfing, but the running and the hiking, but she doesn't want to do it with me. 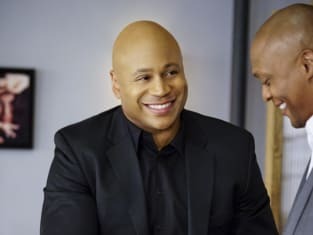 NCIS: Los Angeles Season 8 Episode 12: "Kulinda"
Sam: See what happens when you practice? Deeks: I am what they call a natural shooter. It doesn't matter if the lights are on, the lights are off, eyes open, eyes closed. When I shoot, bad guys go ouch. Sam: It's a good thing I'm not a bad guy. Permalink: It's a good thing I'm not a bad guy. Anna: Am I just bugging you? God, I am that girl. Permalink: Am I just bugging you? God, I am the girl.